The Rainforest Jumperoo is easy to assemble, and it’s also easy to disassemble, wash, and reassemble. It’s well-made and sturdy. It also looks well put together and aesthetically pleasing. There are many features and activities for your baby’s entertainment. Seat spins 360° so your baby can discover toys all around. Sturdy, free-standing steel frame lets baby jump safely—no doorways required. 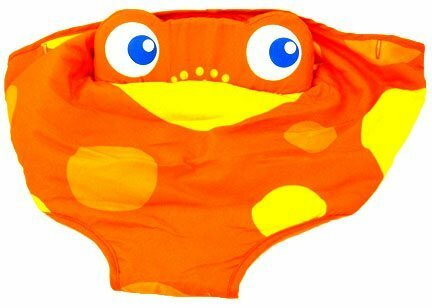 Soft spring covers keep little fingers safe. Soft, comfy seat pad is machine washable & dryer safe. Durable frame is easy to assemble. Most baby toys come with a recommended age range or age limit, or a weight limit or maximum weight. The manufacturer puts out these recommendations for your baby’s safety. Ages: Use only for a child who is able to hold head upright unassisted and who is not able to walk. At 25 pounds, your baby is likely to be walking before weight becomes an issue. The Rainforest Jumperoo measures 43.125″h X 32″w x 37″d (94 x 81.3 x 81.3 cm) . It has a round base, so there are no legs sticking out. It’s not overly big and bulky and due to its round design it doesn’t require more room than the floor space it takes up. There are quite a few steps to follow to complete the assembly of the Rainforest Jumperoo, and they are outlined in multiple steps with clear diagrams in the instructions. Even though there are many pieces to fit and check, it doesn’t take more than a few minutes to get it all together. There are 3 different height adjustment settings, so the seat can grow with them as your baby grows taller. There are settings for volume and mode controlled by separate switches. There are 2 volume settings for the music and sounds. 1) – Your baby’s jumping and spinning activates the lights, sounds, and music. 2) – Five minutes of continuous lights, sounds and music activated by the parent. The seat is machine washable, and the toys easily come off to be cleaned. Don’t submerge the electronic piece. There are many different parts. You can even buy a replacement seat if yours gets worn out. 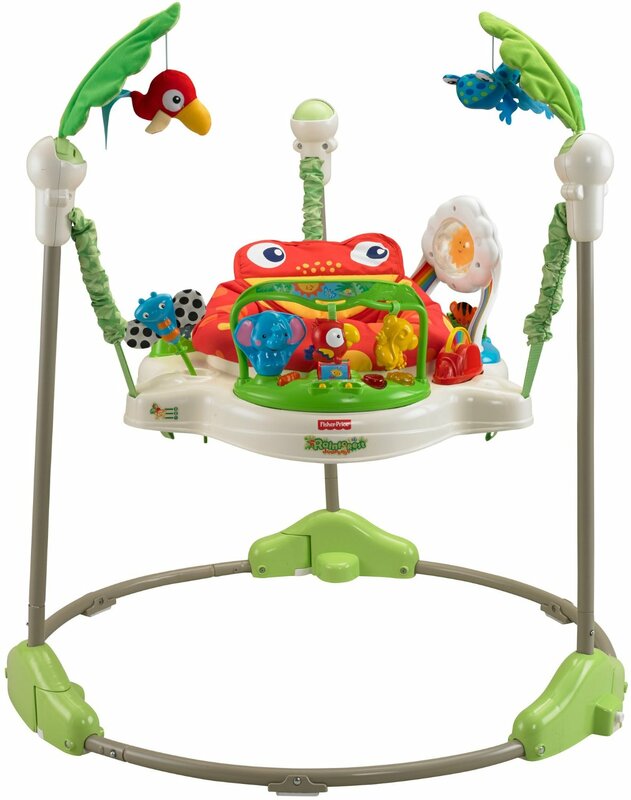 The Fisher-Price Rainforest Jumperoo is a great value with a sturdy design and lots of features and activities for your baby. It’s easy to see why it’s one of the best selling jumperoos.